Crystal Quintet | Zonyxa. Unique and contemporary jewellery for Work. Love. Play. 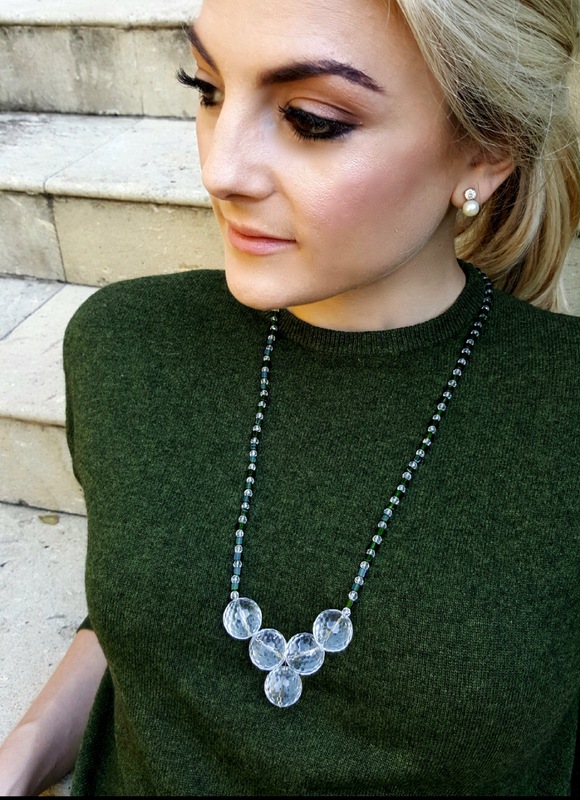 Five faceted balls of crystal form a beautiful pendant presented on a glittering rope of faceted rounds of crystal interspersed with cubes of dark green smaragd. 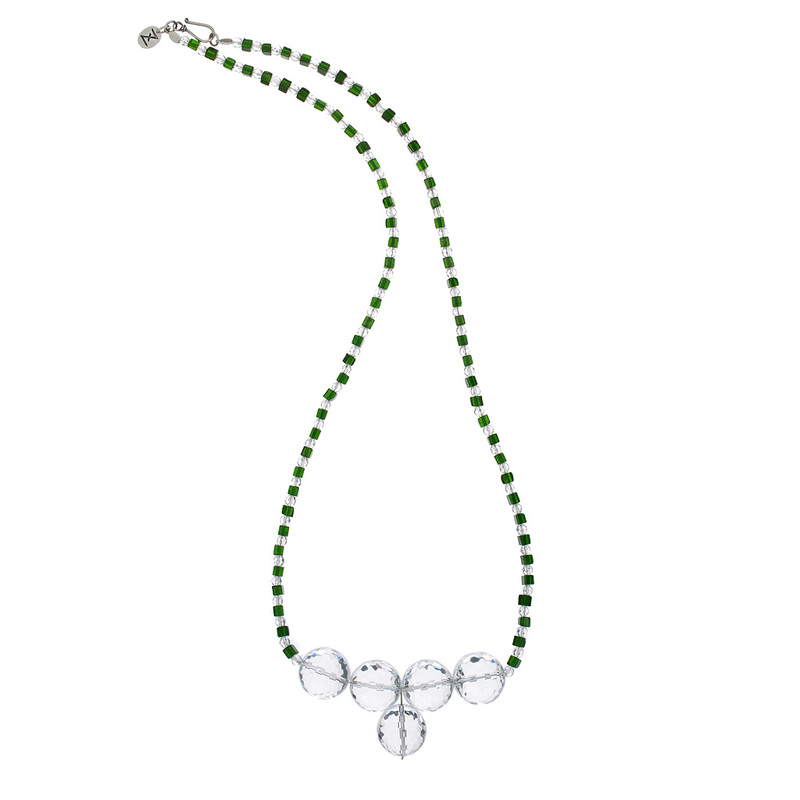 A piece that will lift your spirits any time you wear it.